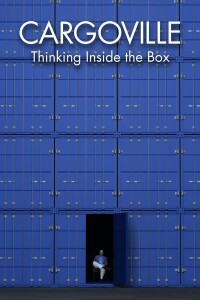 “Cargoville, Thinking Inside the Box“ is a new documentary film on the conception, design, and construction of the nation’s first commercially built cargo container building. This unique film is now available on the iTunes Movie Rentals platform. We are also on the Amazon Instant Video platform for viewing on Amazon Kindle Fire, Roku, Blu-Ray players, internet connected HDTVs and Tivos. For more information on licensing and distribution opportunities, please use our contact form.